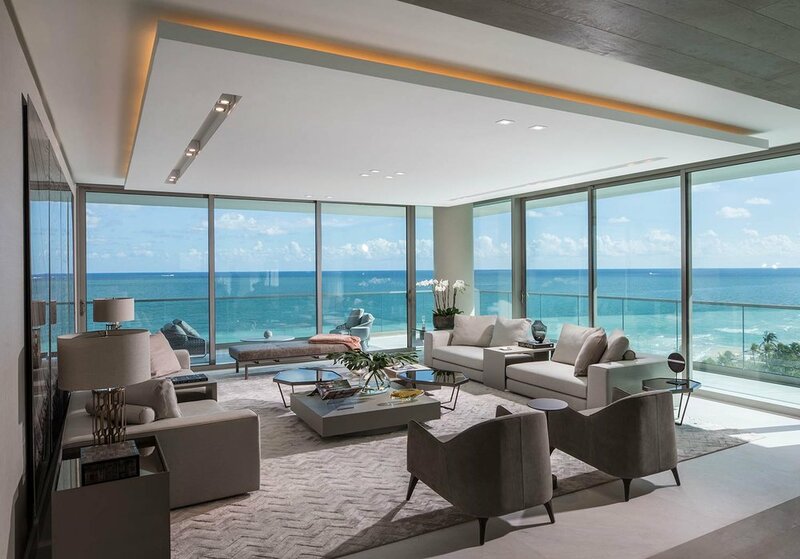 Every one of Oceana Bal Harbour’s spacious homes and balconies are designed to offer breathtaking views; whether it’s the Atlantic ocean to the east, Biscayne Bay and the Bal Harbour marina to the west, or Miami’s intoxicating city skyline to the south. Residences go beyond spacious; they flow through the width of the building to embrace both sunrise and sunset, ensuring you never miss a moment of the changing colors – the gentle blue ocean reflections, golden rays of sun, and the soft pastels of early evening. The views and ambience offered at Oceana Bal Harbour will grant new perspective on an inspiring way of life. At each of Oceana Bal Harbour’s four upper penthouses, the wrap-around terrace and rooftop features 9,950-square-feet of outdoor living space, including a rooftop terrace with an elevated pool deck, heated infinity pool, summer kitchen, dining area, and a sunset deck. The penthouse’s infinity edge pool drops off at the edge of the outdoor terrace, blending in with the endless sea and sky. The entire pool area is adorned with lush vertical gardens designed by famed landscape architect Enzo Enea.